Shortly after The Leftovers co-creator Damon Lindelof posted a cryptic Watchmen-related photo on Instagram, HBO confirmed that the network had officially ordered a pilot for a show based on the acclaimed graphic novel by Alan Moore and Dave Gibbons. The news comes in months after the project was first reported, but now it’s official. Per THR, the pilot order also comes with a commission for additional scripts, should the full show be picked up. For Lindelof, the opportunity must be somewhat of a dream project, as the writer has talked about his reverence for the source material and his ideas for the series before. 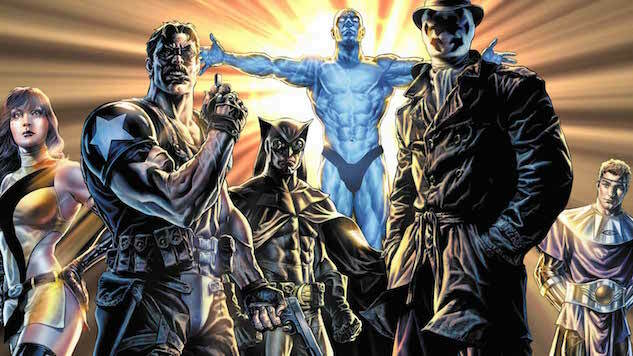 Speaking to Comic Book Resources in 2009 (via THR), Lindelof described the influence Watchmen had on his style: “From the flashbacks to the nonlinear storytelling to the deeply flawed heroes, these are all elements that I try to put into everything I write.” With Lindelof adapting a story that inspired him, his career is coming full circle. The graphic novel was originally adapted into a film by Zack Snyder, who was initially (but is no longer) involved in this project from HBO and Warner Bros. Television. The 2009 film was very much a strict and direct adaptation (save the ending), with Snyder using the graphic novel essentially as his storyboard. With the longer medium of television at Lindelof’s disposal, this series has the opportunity to further flesh out the complex characters and narrative of the original story. Since the full release of Alan Moore and Dave Gibbons’s original graphic novel, DC Comics has published a series of prequel comics titled Before Watchmen, albeit without the involvement of Gibbons and the quite grumpy Moore. Moore has been adamantly opposed to any screen adaptations of his work, being outspoken against the film adaptations of The League of Extraordinary Gentlemen, V for Vendetta and Snyder’s own Watchmen, believing that the stories were best left in their original comic book medium. Whether Lindelof’s series will be some sort of miniseries direct adaption of the graphic novel or something separate that expands on the mythology (possibly with Before Watchmen as a resource) is unknown. Still no word on when we will be able to watch the Watchmen (heh), but Lindelof’s Instagram post appears to indicate that the writers are already hard at work on the scripts. Lindelof’s The Leftovers recently wrapped up its three-season run, and you can see our very positive review of the series finale right here.